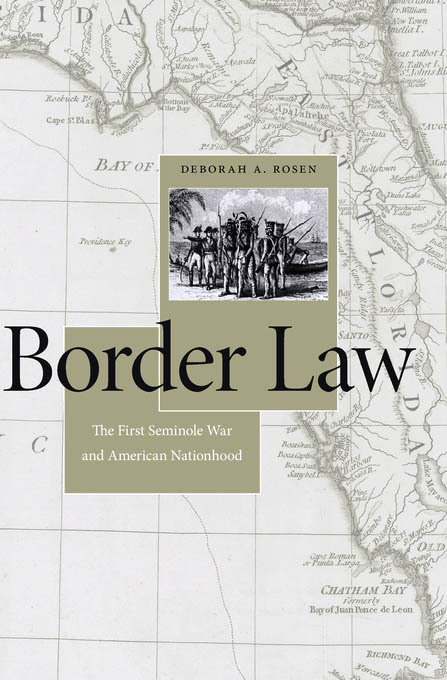 Deborah Rosen, the David M. ’70 and Linda Roth Professor of History, won the Bancroft prize, considered one of the most prestigious honors in the field of American history, for her book, Border Law: The First Seminole War and American Nationhood (Harvard University Press). Rosen describes in her book how that conflict, which lasted from 1816 to 1818, laid the legal groundwork for the Monroe Doctrine, westward expansion, and the Dred Scott decision of 1857. The Bancroft Prize, was established in 1948 by the trustees of Columbia University with a bequest from the historian Frederic Bancroft. It includes an award of $10,000. There were 197 books nominated that were considered for the 2016 prizes. Last year’s winner went to the much-talked about Empire of Cotton: A Global History by Harvard historian Sven Beckert. Rosen’s scholarly work examines the history of colonial America, early national America, race, citizenship, sovereignty, borders, American Indians, women, American law, and international law. She is the co-editor of a three-volume collection of colonial-era treaties and laws pertaining to American Indians and is also the author of Courts and Commerce: Gender, Law, and the Market Economy in Colonial New York, and American Indians and State Law: Sovereignty, Race, and Citizenship, 1790-1880.